How to Delete Yahoo Account? Home »	Uninstall » How to Delete Yahoo Account? Issue: How to Delete Yahoo Account? I just found out that my Yahoo account was hacked in 2013. 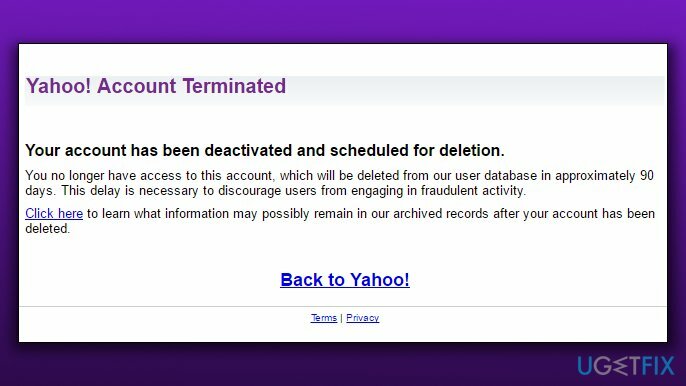 I am perplexed, and I would like to find out how I can delete my Yahoo account? I have changed all my passwords, but I no longer want to use Yahoo – it just does not seem to be securing user data efficiently! However, it seems that the extent of the data breach wasn’t calculated precisely enough. Yahoo has recently posted an update stating that the data breach affected 3 billion user accounts, meaning ALL of Yahoo accounts that existed in 2013. The data stolen from hacked accounts included names, hashed passwords, birthdays, encrypted or unencrypted security questions and answers and also phone numbers. According to Yahoo, cyber criminals did not stole the passwords in clear text, meaning that they could not access financial or banking data connected to hacked Y! accounts. If you used an identical password on any other account online, change it ASAP. Change passwords on every account you registered with Yahoo’s email account that was compromised. Unlink mobile devices from your Yahoo account before deleting it. Go through your emails in Yahoo! Mail to find any accounts you forgot that existed. Make sure you cut any relations to the compromised Yahoo account. Change passwords everywhere you can. Connect a new email account to accounts you are trying to protect. As long as they are linked to the compromised Yahoo account, hackers can recover login information quickly even if you change the password. Save any information you need from your Yahoo account. Once you close your account, it won't be possible to recover it. 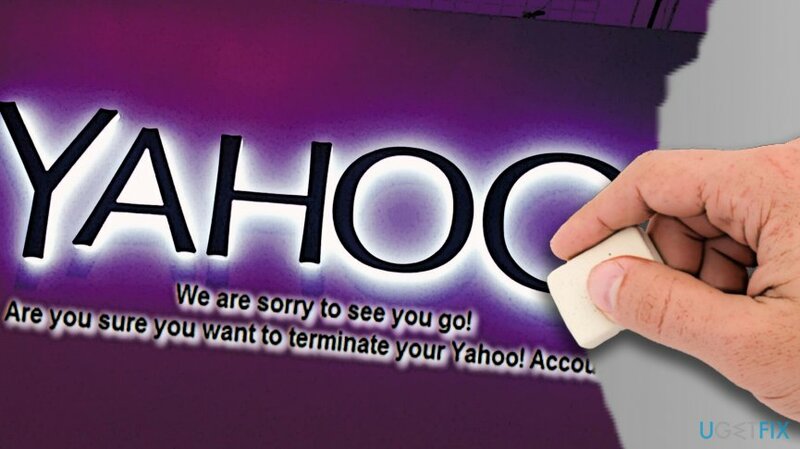 First of all, go to Terminating your Yahoo! Account page. Now, log in using compromised Yahoo! Account username and password. Enter the password to confirm your identity. Enter the code displayed in the picture to confirm that you’re human. 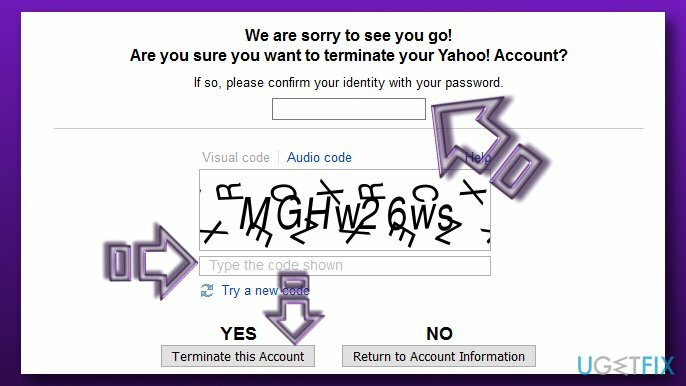 Click Yes to deactivate your Yahoo account. You will see a pop-up saying “Yahoo! Account Terminated.” A short message provided on the screen will state that your account has been scheduled for deletion and will be deleted within 90 days.